Sa-kotosa: dance to the earth with bent knees, a night of interactive African music, drumming, dance, and song performance workshop. This will be a night to remember and we strongly recommend that you reserve early as, undoubtedly, the room will be filled to capacity. Be ready to dance, as there will plenty of opportunity for audience participation! This is a night where we shall explore African dance, poetry and music practices from many ethnicities, including Ghana, Nigeria, Guinea, and South Africa… We will explore the historic elements that function as a drive for most of these aesthetically vibrant performances. We are going to take you on a journey beyond aesthetics, beyond the sound you hear, to the root core of why we do what we do from Africa, so that an insider’s understanding of an expressive culture will be truly shared from the bottom of our hearts, with the help of the joy, the charisma, and the enthusiasm that words can never describe, such as body paints that identify and link society, and embody a genealogy. 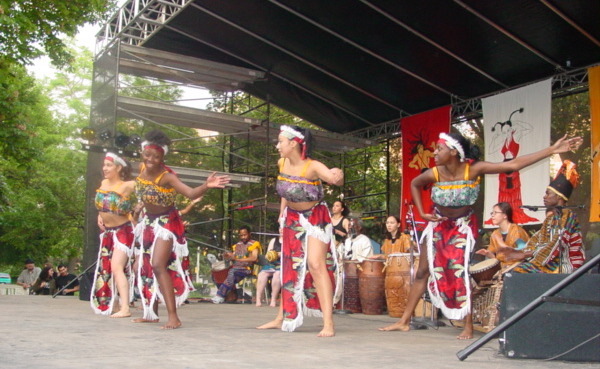 In celebrating the heritage of all Africans and the Diaspora, the African Dance Ensemble (ADE) deems it a duty to learn, share, and dedicate this special event to the world, which is rooted in the source of humanity from Africa. Click here for the Humanity in Harmony Festival 2008 poster. 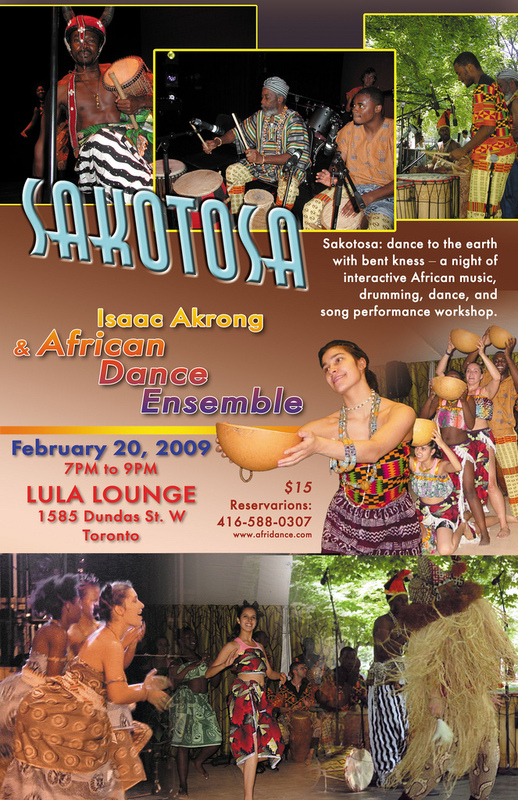 Click here for the AFRICA ALIVE Feb 2008 poster.